grandma's cookie jar: Developing a Heart for Others! So, as we took the boys home last night, Caleb (three years old) wanted us to stop by the, "bunny store" so we could buy the bunnies for the family! Obviously I need to explain better about actually buying the bunnies! 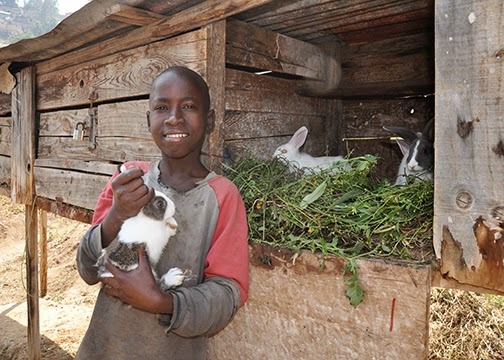 I'm very happy to also say, Josiah is planning to bring some of his own money to put towards buying bunnies for families in need! I'm so happy to see my grandsons jump right in to this project! They have never once even mentioned raising money for toys or something for themselves! They are excited for the opportunity to show their love by helping families in need. I'm so happy to watch as these two sweet young boys are developing a true heart for others!